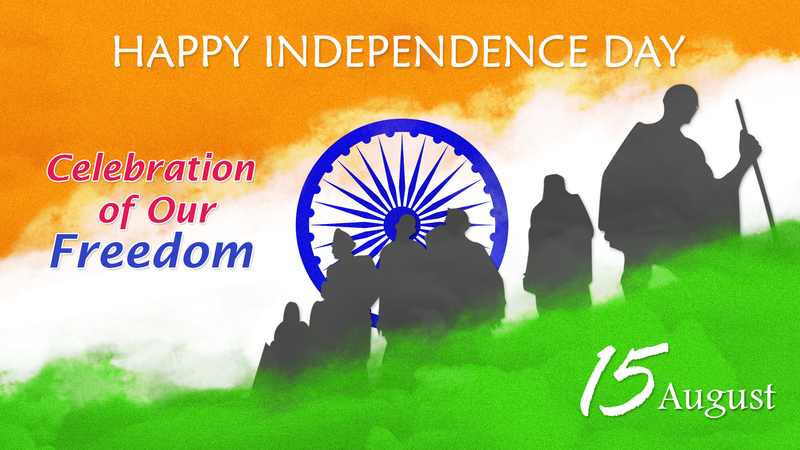 15th August "Independence Day" Celebration of Our Freedom! HomeSeasons and FestivalsHappy 15th August – Celebration of Our Freedom! 15th August marks the Independence Day of India. The hard fought freedom that we won after years long fought battle with colonial power of British Empire is precious to us. Today, after the 70 years of victory what is important for us – the Indians – is we have successfully built the foundation of this large nation with Democracy. This a feat that is achieved by India to be the largest democracy in the world. It is the responsibility of us – the Indians – to carry forward the legacy of our brave and legendary freedom fighters who gave their lives to bring freedom for our generation. Let us pledge to be worthy of this gift that is bestowed upon us by those great people by doing every possible bit to bring even more glory to our great nation. It has become utmost important in today’s challenging times that we Indians stay united and fight against the challenges before our country. Let us stay united and work hard to make India a great world leader. Let us not get divided by languages, religions and geographic barriers. If we fail to follow the path that is shown to us, it will be injustice to our past as well as our future generations.